Residents of the sub-Arctic village of Umiujaq wistfully remember the good old days, when the ice-fishing season was long and the catch bountiful. That was before the effects of climate change, the most recent in a long of list of threats to the Inuit way of life, started hitting home. Already assailed by decades of imposed cultural and social changes, global warming is now taking its toll on one of the key surviving Inuit traditions—the yearly hunt for fish through holes cut into frozen water. "I love ice fishing, I love fish eggs. But (the season) lasts only a few weeks and it gets scary very fast" on the thin ice, Nellie Tookalook told AFP. Winter used to arrive in October or November, "but it's later now," said Tookalook. The snow melts faster, she complains, "and there are fewer caribou". Tookalook teaches her mother tongue, Inuktitut, at the school in the remote village, where people have largely shed their traditional clothing, homes and many cultural practices. Many homes have TVs, and rather than seal fur parkas, teenagers and adults alike wear jeans, watches and baseball caps. 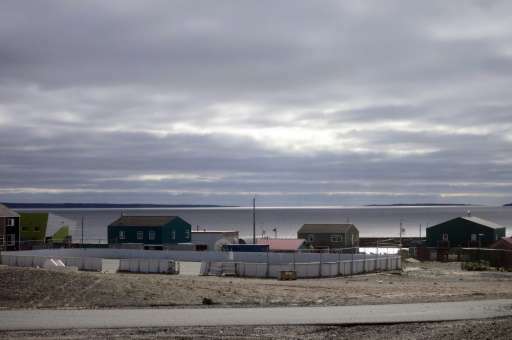 Umiujaq is a remote village on the shore of Hudson Bay in east Canada—part of a region which is warming twice as fast as the rest of the planet. In autumn 2015, visitors are met by a platoon of construction vehicles: the route to the airfield has collapsed due to melting permafrost, the frozen soil layer that forms the foundation for roads and buildings at these high latitudes. The repairs are crucial: the route is the 400-strong community's only link with the outside world—a four-hour flight from Montreal, weather permitting. Just next to the airfield a few dozen brightly coloured wooden houses comprise the village which sprung up here a mere 30 years ago with the arrival of people from a nearby settlement, where a hydro-electric project sprung up. 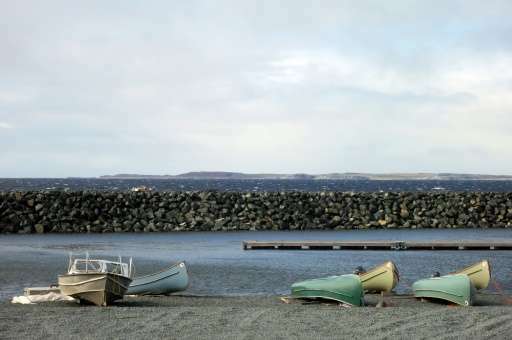 The town boasts a police station, a clinic, two grocery shops, two churches, a telecoms tower, a community radio station, and several open-air rubbish dumps. Rapid population growth requires constant construction of new homes, but this expansion is also complicated by the rising thermostat and unreliable permafrost. Building damage started to appear in the early 2000s, long-time observers say. 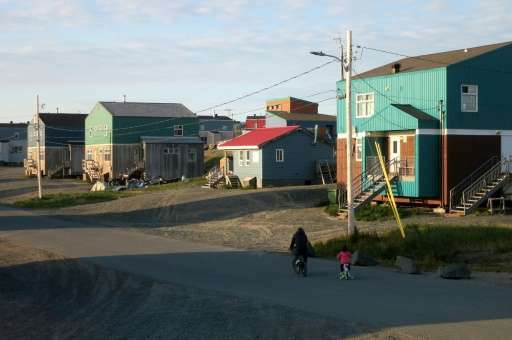 Today it is common for walls to sprout huge cracks—in Salluit, a settlement north of Umiujaq, the fire station collapsed. Builders have to wait a year after laying a foundation to start construction, explains Noah Inukpuk, the town manager. "We have to cope with the changes the Earth is making to us, as we have no way to fix it." Not only the ground, but also plant and animal life, the water cycle and snow coverage—everything has been turned on its head. Tree cover in the region is moving slowly but steadily north. Around Umiujaq, stunted spruces are replacing mosses and lichens, joined by newcomers like Canadian elk, groundhogs, and even toads. For the first time, the region experiences heatwaves, and elders of the community, once spot-on, are no longer able to predict the weather. "We try not to be out when it's too hot," said 22-year-old Anita Inukpuk, who describes herself as a "winter person". "Last year we had a heat wave for two to three days, I almost got heat stroke. It was around 29-30 degrees (Celsius, or 84.2-86.0 degrees Fahrenheit)—that's too much for me!" 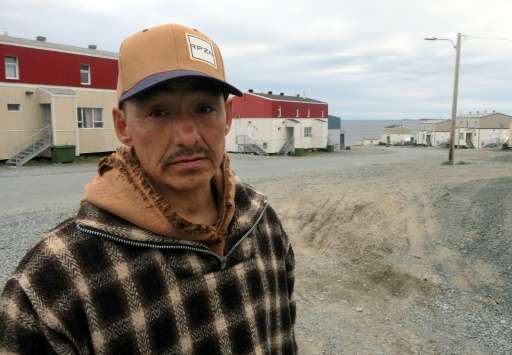 Lucassie Cookie, a fisherman of 47, laments the weather's effect on his livelihood. "When it is so hot, there's hardly any fish now, because they go deeper. And we have mosquitoes and flies all summer. Summers are getting harder and harder." But even more cruel for the Inuit, whose language has more than 20 words to describe snow, is the changed winter—about two months shorter than before. The ice comes later, is thinner than it used to be, and more fragile. Recently a hunter on a snowmobile fell through the ice and was lost, recounts Umiujaq municipal councillor Charlie Tooktoo. "People have second thoughts before going camping," he added. "We now do one-night camping, instead of one week (as) in the past. It's impacting our way of life. Our way of life depends upon sea and ice." The Inuits find it harder to find seals, also victims of the retreating ice floes, and certain species of whale, threatened by the rise in killer whales in the bay, scientists say. "When I was a kid, my grandma used to tell me someday there will be no snow. I didn't believe here," said Lucassie Tooktoo, 50, a teacher of culture. "But some predictions have already come true and maybe some day there will be no snow... I think it's going to come eventually." Hard blows for a minority which has already lost so much. "I am a little bit mad that the world is not doing much," to contain global warming, said Charlie Tooktoo. "If we have to change, we will, but it's coming faster..."
The ice has been declining for over 10,000 years. There is nothing special or significant about this, except that you happen to be in one specific generation seeing it drop below a certain level. It's time for this backwards culture to modernize anyway. Greenonions - Returners claims climate change isn't happening because God wouldn't let it and his disgusting regressive views on other races and on women are also well documented. I don't think we should waste our time.